This gentle, refreshing cleanser with aloe and mint leaves skin softer and smoother from the first wash. Wet Face. Pump into hands. Apply to face and massage gently, avoiding eye area. Rinse thoroughly. I bought this cleanser yesterday and tried it last night. My face started burning and I immediately washed it off. Woke up this morning and my face was swollen and red from this. I had no problems with the Advantage 3-1 acne cleanser, if this product replaced the Advantage I’m disappointed. I will not be buying or using this product again. Did you discontinue the Advantage Acne 3-1 cleanser? Oh no, we're so sorry to hear this! We'd really like to chat more and help you out, so please give us a call at 1-877-754-6411. We're available from 9am - 5:30pm ET, Monday through Friday. Hope to chat soon! The first time I used this product, my skin was instantly better but by the second week my skin went back to normal and it hasn’t been doing anything for my skin at all. I’m not sure what it is but I don’t think I’ll buy this product again. It’s been 3 months and my skin is getting worse from it . Recently, I've been trying to get back into skincare after not taking care of my skin for a while. I picked this up at the store after trying a few other Clean and Clear products, and I love it! I have combination skin, and this cleanser works perfectly to help reduce oil without over drying my skin. I would recommend using some kind of moisturizer afterwards, although this is not as drying as some other products I have used, due to the aloe in it. It also smells REALLY good and leaves my skin feeling and looking refreshed and clean! We're glad to hear you love it! We'd like the opportunity to learn more about your success, and we encourage you to give us a call when you have a moment. We're available at 877-754-6411; M-F, 9AM - 5:30PM ET. Hope to hear from you soon! Hi there! We'd like to learn more about your experience using our product. Please give us a call at 1-877-754-6411 M-F between the hours of 9A-5:30P ET. Thank you and have a great day! I've used this product twice in the last 4 days and when I woke up this morning and went to work I realized I had hundreds of red dots on my face and when i touch them they burn. I do not recommend this product for sensitive skin at all!! We're sorry to hear you've experienced this! When you have a moment, please give us a call at 1-877-754-6411 so we can learn more and make this right. We're available to chat Monday-Friday from 9AM-5:30PM ET. We hope to hear from you soon! This cleanser doesn’t make your face feel tight or dry. It truly makes it feel clean. The hint of mint was nice afterwards because my skin felt refreshed. This is only my first day using it, but I’m already in love and will be continuing using this. I hardly ever give reviews unless I really fall in love with a product. This is one I would really recommend trying! Thank you clean and clear! I have read and heard nothing but good feedback from this cleanser, so I decided to give it a try! I have been using this as my cleanser every morning and night. After I cleanse, of course I tone with Thayers & moisturize with Clean and clear dual moisturizer and it has been working wonders! The cleanser has been leaving my face clean and fresh, I adore the smell and how clean it makes my face feel and look! No breakouts or reactions! If I get a pimple, I use persa gel 10! I definitely recommend it this cleanser! 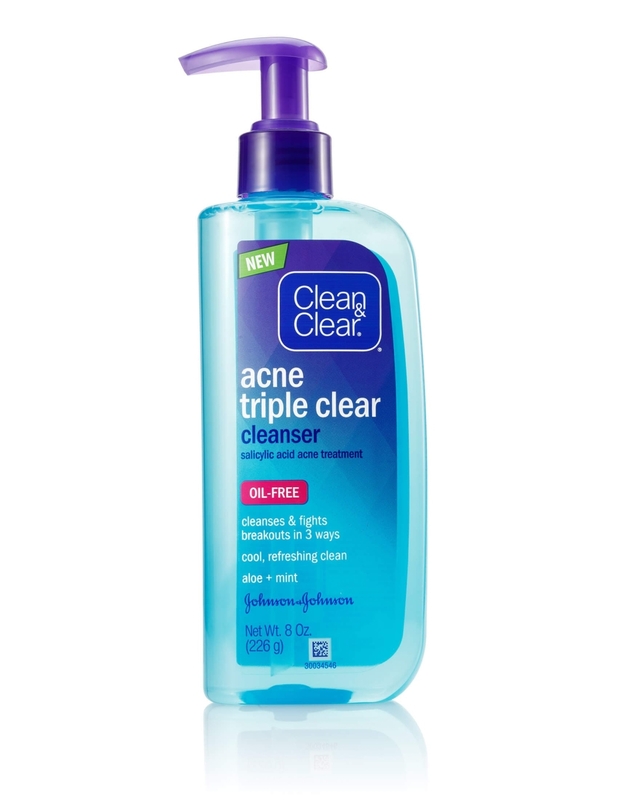 (I have very oily prone acne skin) Thank you clean and clear!! I recently had a really bad breakout which has never happened before, so I turned to this acne wash to hopefully help. My face is not sensitive whatsoever, but this face wash mixed with their acne scrub caused me to have a mild chemical burn on my chin and forehead, along with even more breakouts and very dry skin. It’s been a week now and my skin is still super dry and irritated. This might work for other people but it definitely didn’t for me. I haven’t changed anything else in my skin care routine besides adding these products in replacement to my normal face wash (morning burst). Hello! We are so sorry to hear about your experince with our product! We want to help and learn more! When you can, please call 1-877-754-6411, Monday - Friday, 9am - 5:30 pm ET. Hope to hear from you soon!